Little Lexi asked, "What about all the kids artwork that they create?" It's taken me this long to tackle this question because I was still developing my own system. It's now in place and I'm happy to share what I do along with some other ideas. Firstly, there is no way you can keep everything. You just can't. Not if your little artists are as prolific as my own. So the first step would be to be selective. 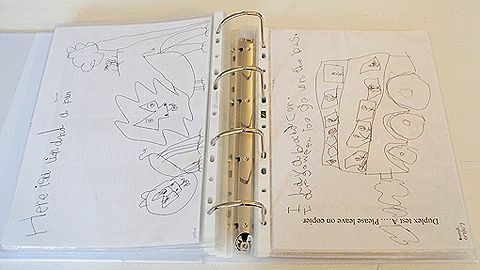 Make clear to your children that you love all of their work and you are proud of them and can enjoy their pictures, but that doesn't mean that you have to keep everything. And that not keeping everything does not mean you don't love everything. My kids are okay with that. 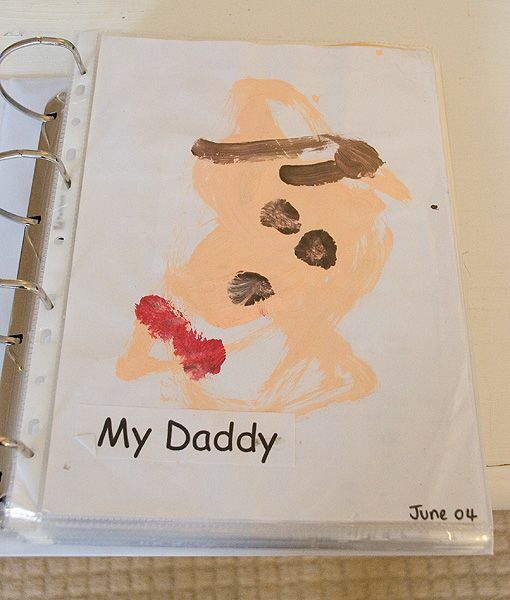 I immediately write my child's name and the date (month and year) on each piece of art. 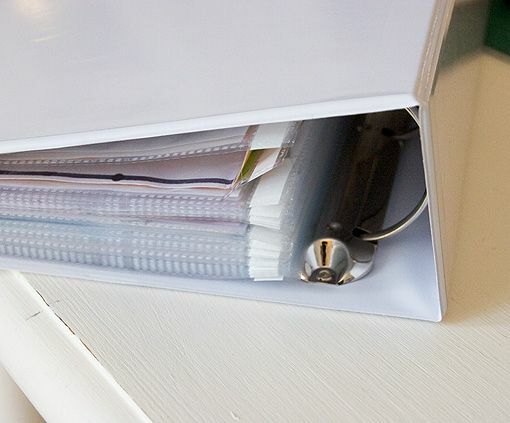 Then I file their artwork in big, fat plastic ring binders, in plastic page protectors. This makes it easy to slot in artwork or school reports that turn up later, or move things around. 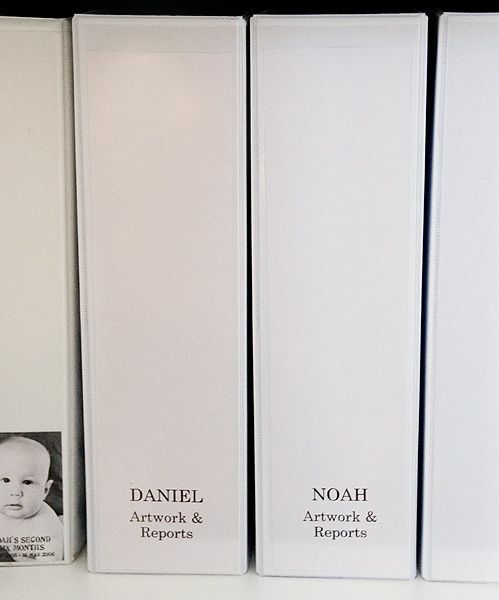 Here are the ring binders in my cupboard in the studio. I bought them on Amazon - they are each 3.5 inches fat. But what about pictures that are too big to fit in a page protector? Or 3D models and sculptures? Some pictures can be trimmed down to fit in a page protector, even if it means losing a little detail off the edge. Or I scan or photograph bigger items that I want to keep, and print them out in a size that will fit in the plastic sleeves. 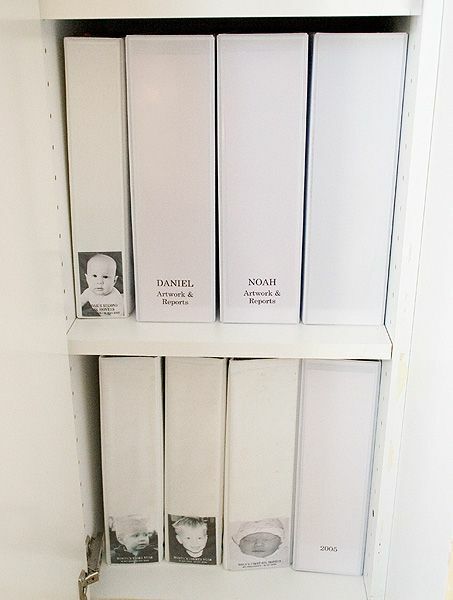 Same goes for a 3D item - I take a photograph of my child holding the piece of art, and that goes into the file as a printed picture (or, more likely, will end up in our family photograph album - either way, it's recorded). Do I immediately file the pieces of art that I want to keep? Usually, now that I have a system. But sometimes I let them sit in a pile in a designated spot until I am ready to file the batch. This is key - having a designated spot. Our spot is on top of our printer and my sons know that anything precious that they don't want recycled should go there. This is the system that works for me, but it may not work for you. Perhaps you'd prefer to keep all original pieces of art in those plastic bins that roll under a bed, or scan or photograph everything and create a Blurb book with the images. Google turns up loads of ideas. I particularly like the idea of having a frame with clothes pins in it, or a wire with clothes pins to pin up and display pieces of art before filing. Have a browse and see if you can find a system that works for you - and then try and be consistent in implementing it. Good luck!